The Italian company Dianese has developed airbag-equipped safety suits that inflate in the blink of an eye. Faster, actually. Downhill skiers are the speed demons of the winter Olympics, regularly reaching speeds of 80 to 90 miles per hour, and sometimes topping out at more than100 mph. At these speeds, crashes can fatal. As such, an entire field of scientific study has developed around downhill skiing, aiming to find the best technological solutions to mitigate bodily injury during high-speed crashes. One of the most successful, recent innovations borrows from the sport of high-speed motorcycle racing — wearable airbag safety vests that inflate in an instant. Watch closely during this year's downhill Olympic events in Pyeongchang, South Korea and you may spot this technology on competitors from the Austrian, Italian, Canadian, and American teams. Dubbed the D-air system, it's a protective vest that incorporates technologies from multiple fields of study — mathematics, physics, engineering, and computer science — to protect skiers during and after a crash. It works like this: Multiple sensors, accelerometers, and gyroscopes stitched into the suit are carefully calibrated to detect when a racer is losing control and about to crash. This is the tricky part. 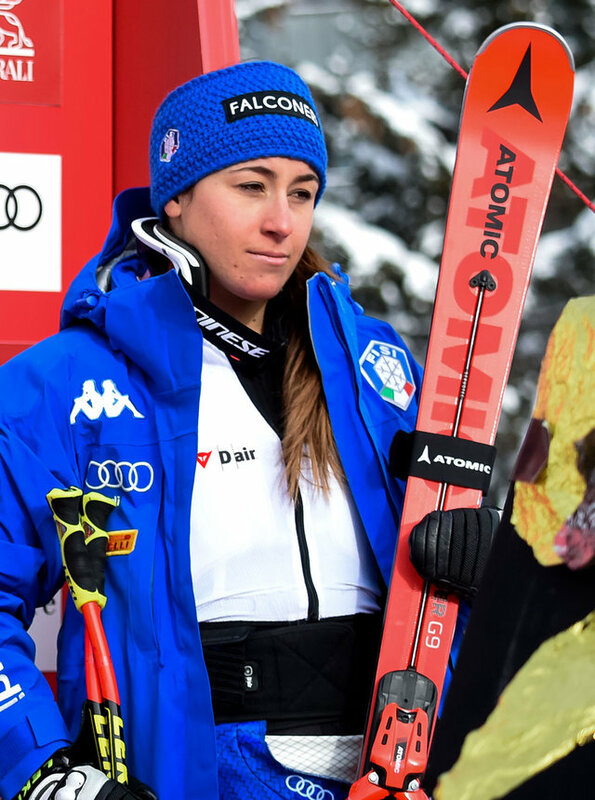 Downhill skiers generate a range of powerful forces as they rocket down the mountain, and the system has only fractions of a second to distinguish among these various forces and detect when a crash is imminent. According to Italian manufacturer Dianese, the D-air system uses an array of proprietary algorithms to solve this problem. In fact, the company refers to their line of airbag apparel as “intelligent clothing” because those algorithms — informed by years of real-world testing data — are the most critical part of the system. The company has patented more than a dozen separate technologies related to just this part of the D-air system. Once a crash situation is detected, the D-air vest works similarly to automobile airbag technology, inflating pretty much instantly — more on that in a bit. The D-air control unit monitors the suit's various sensors more than 1,000 times per second. 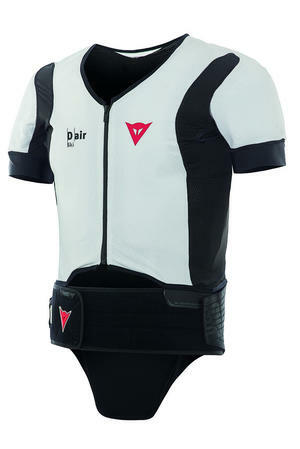 In the downhill skiing vest model of the D-air suit, the airbags inflate around anatomically precise areas of the skiers back, neck, collarbones, and the back of the skull. The airbags themselves represent the pneumatic part of the system, and the level of precision engineering here is equal to the system's electronic components. Once triggered by the algorithms, the pneumatic gas generator fills the airbags in 40 milliseconds. For comparison, consider that blinking your eyes takes around 300 milliseconds. The current D-air system is the result of more than 15 years of research and development, said Marco Pastore, racing director for Dianese. The company has been deploying various models of the D-air system in official racing events since 2007, particularly in motorcycle races. Due to licensing issues with the International Olympic Committee, company officials from equipment providers are not authorized to discuss Olympic events while they're underway. But Pastore can confirm that there are about 40 athletes currently using the D-air system in competition at this year's events: 30 men and 10 women, approximately. Pastore says the company is hoping to eventually bring the D-air system to other areas of human endeavor — those that don't require accelerating to 100-plus miles per hour. Dianese is already marketing D-air systems for bicycle and equestrian sports, but the company has ambitions outside the sporting world, as well. “[We] are currently working with D-air technology on other special projects for workers, aged people, and children’s transportation,” Pastore said.